PCDoc (by Softco) data recovery to enable the files to be extracted and converted to PDF or TIF and Import to alternative archive document storage systems. This would name files according to the PCDoc system database. Alternatively files could be named using any external database that was used to store the metadata eg MySQL, MS SQL etc. 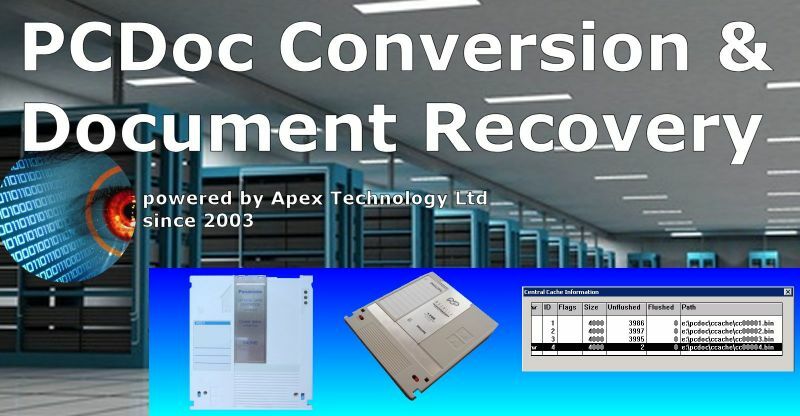 If you need a Softco PCDoc data recovery service, then contact our friendly company. PCDoc (by Softco) data recovery to enable the files to be extracted and converted to PDF or TIF and Import to alternative archive document storage systems. This would name files according to the PCDoc system database. Alternatively files could be named using any external database that was used to store the metadata eg MySQL, MS SQL etc. .